OK, I assume that after reading the title of this post, you completely understand where we are coming from with this special edition of The Bovine Ska and Rocksteady. People for varying reasons hate this holiday so we should give you ours: it is the greatest relationship destroying holiday of all time! Unlike other relationship crushing holidays like Christmas, Valentine’s Day sets itself apart in the area of emotional (and sometimes materialistic) expectations. What to give and plan if the relationship is just a few weeks old could result in an a cataclysmic outcome. So, what does this have to do with Jamaican music? Well, like any songwriters and performers of ska, rocksteady and reggae are not exempt from the tortures of love gone awry and this show was packed with their miseries. Our show began with an hour long tribute to the concept of loneliness featuring such tracks as: “I’ve Been Lonely” by Peter Tosh and Hortense Ellis (Studio One-1966) and “Sometimes I’m Lonely” by The Pioneers (Trojan-1972). Followed by a second hour which featured tributes to “Tears” and “Sadness” featuring cuts like Errol English’s “Sad Girl” (Torpedo-1972) and “Tears From My Eyes” by the great Jackie Opel (Top Deck-1965). Each break punctuated by our Anti-Valentine’s Day theme of “He/She Left Me for What?” Real life excuses, read by Lily, written by couple who broke up over the most trivial of reasons. Coming to you from a frozen, snow-covered Cambridge, it’s the Bovine Ska and Rocksteady! Wow, these last few weeks have been rough with bad weather. We are also back this week, after missing last week’s show due to Generoso’s hospital stay. He’s improving but that combined with the snow has made doing the show difficult but we were glad to be back. 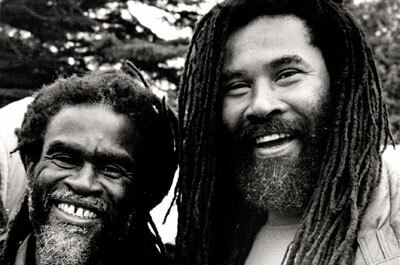 Starting the show off this week were two sets of delicious early reggae, beginning with a massive tune from Sound Dimension, “Great Mu Gu Ra Ga” which was released on Bamboo in the UK in 1970. Our spotlight would be on the early vocal tracks of Bobby Aitken. Brother of the godfather of ska, Laurel Aitken, Bobby Aitken, was born in Havana in 1933 and was orphaned in Jamaica at the age of eight. As a boy, he became a mason when his uncle pulled him away from a street gang and introduced him to the masonry trade in order to survive on his own. However, music became a more reasonable means for Bobby, especially seeing that he had a natural gift for it. A precocious 11 year old Bobby built his first banjo from sardine cans and learned how to play guitar on his own. And, by his mid-20s, Bobby had built up his guitar skills and formed the Carib Beats with Charlie Organaire and a man named Morgan in late 1959/early 1960. Together, the group performed primarily calpyso with a few skas, but the trio broke up after the rest of the group did not show up for a performance at the Blue Ribbon Club in Kingston. 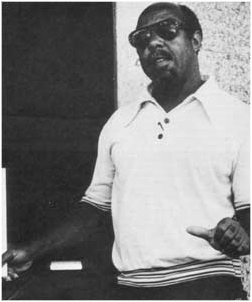 As a result, Bobby returned to masonry for a stint, only to make a comeback to music within a year as a solo artist with his single, Cracker’s Rush, which commented on a food shortage in Jamaica and was released in 1961 on the Blues label by Count P, an operator of a soundsystem on Spanishtown Road. We’ll began with this first solo recording of Bobby Aitken to kickoff tonight’s spotlight. Eventually, after recording for a range of producers including Prince Buster, Coxone Dodd, Linden Pottinger, and King Edwards, Bobby Aitken formed The Carib Beats again with Charlie Organaire and Mike Williams. Other musicians including Bobby Kalphat, Vincent White, Conroy Cooper, Ansel Collins, Carlton Santa Davis, and Val Bennet would also rotate in and out of the group. The Carib Beats recorded for Joe Gibbs, Clancey Eccles, Bunny Lee, and most famously, JJ Johnson. The second incarnation of The Carib Beats would eventually break up as Bobby decided to focus more on his faith and became who he is known as today: the Reverend Robert Simmonds. Listen to the full program with our Bobby Aitken spotlight: HERE.